The measurement of rock sample displacement during laboratory testing is generally carried out by means of instrumental devices, which are capable of detecting average or local sample displacements, but are subjected to various error measurements; instrumental errors especially increase when localization takes place in the rock sample and macro-cracking develops. Photogrammetric techniques and, more recently, computer vision techniques based on non-contact digital image change detection propose an interesting alternative in this field, since they allow for detecting, with high precision, the visible displacement field of the rock sample external surface. 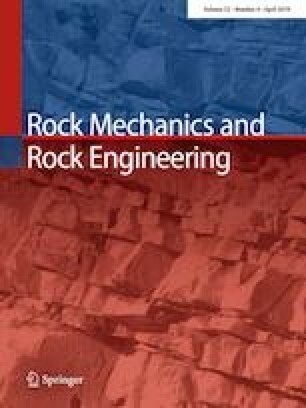 This work is aimed at presenting the results of the application of an advanced computer vision technique to the assessment of the evolving displacement field of soft calcarenite samples subjected to uniaxial compression test. The corresponding results confirm that the technique is capable of detecting, with high level of accuracy, both the pre-failure displacement evolution, when continuity conditions still exist in the sample, and in the post-failure state, when large fissuring occur and a clear failure mechanism develops in the sample. A comparison between the results obtained from the technique here proposed and those resulting from a more conventional digital image correlation technique is also provided, highlighting a clear improvement in terms of accuracy of the images and capability of detecting the failure mechanisms of the samples.